07.04.2015. Sydney, Australia. AFC Champions League. Western Sydney Wanderers v FC Seoul. 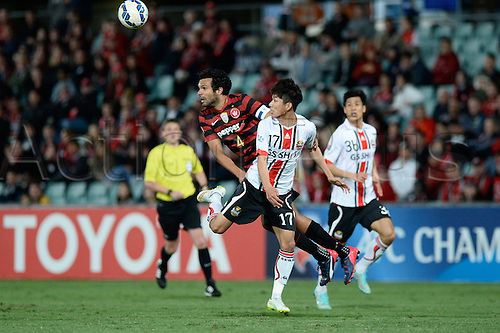 Wanderers captain Topor-Stanley wins the ball from Seoul midfielder Yun Il-lok.